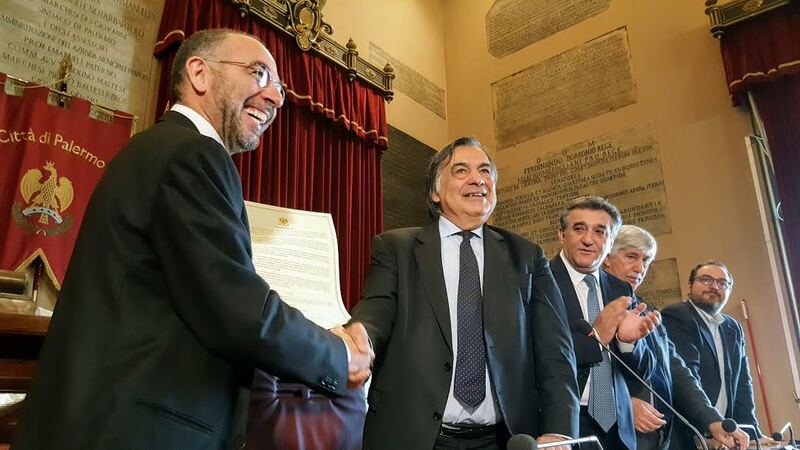 Giuseppe Tornatore, the well known movie director, winner of an Oscar is now a honorary citizen of Palermo. 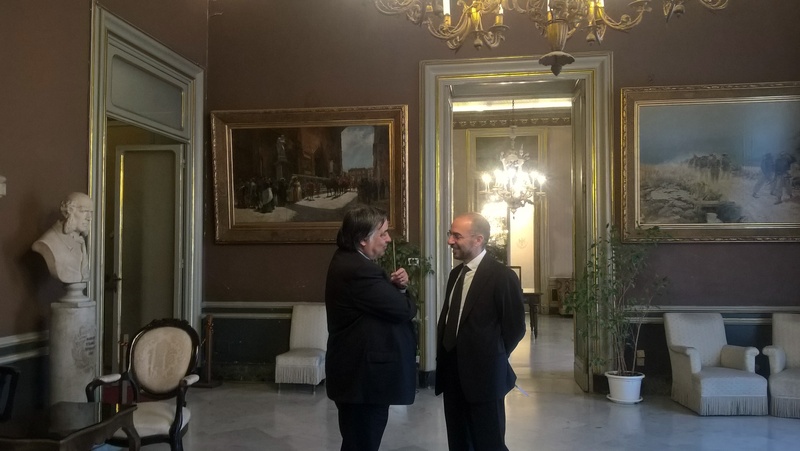 The mayor Leoluca Orlando confered him honorary citizenship during a crowded ceremony in Palazzo delle Aquile where, among others, were the president of the Municipal Council Salvatore Orlando, councilors of the City Council and relatives of Tornatore. The director won the Academy Award for the best Foreign Language Film in 1989 “Nuovo Cinema Paradiso” He also directed many commercials for Dolce & Gabbana. 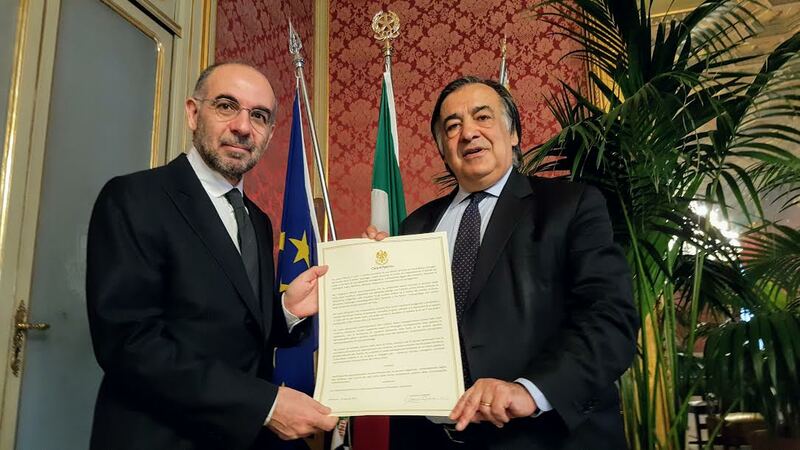 “We are thrilled and proud – said Mayor Leoluca Orlando – to have conferred honorary citizenship to Giuseppe Tornatore because he is the kind of the good Sicilian, a modern Sicilian who with his ability has combined roots and wings, connecting value and vision because the value of beauty in his art is certainly promoted and linked to respect for the person. Now with Giuseppe Tornatore our city is valued more because of its pride, culture and perspective. To have spread throughout the world by his artistic activity the wonderful images of the beloved land of Sicily, landscapes, colors, squares, streets that represent the background on which he animate his beautiful screenplays, intimately related to memory , interpreters of feelings, dreams, disappointments, sweetness, bitterness and contradictions of the protagonists. For the original documentary activity that highlighted distinctive and unique aspects of Sicily, such as painting, weaving a beautiful dialogue with the great artist Renato Guttuso, literature, investigating the relationship between the Sicilian writers and the world of cinema, history, through the film anthology of the “three-pointed Shield”, anthropology, with the analysis of ethnic minorities on the island. For having faced with surprising realism important social issues investigating in depth the intricacies of the human soul, emotions, torments, joys, thoughts and aspirations of a people in fight with their own roots, in which the desire to have wings and their being trapped in the bowels of their own land live side by side. To get deeply excited many Sicilians, even nostalgically far from beautiful Trinacria, through masterful art able to fully immerse the viewers in the film, with the feeling of actually move in the recent past Sicily, perceiving warmth and scents, listening to sounds and expressions, rediscovering traditions, identifying theirselves in his characters. To be a positive symbol of Sicily, an example for the younger generation that the condition of islanders can represent a wealth, a precious treasure that Giuseppe Tornatore, great master of cinema, has preserved in an exemplary way by allowing an entire people to share with to him the joy and pride for the many successes, culminating in the important recognition of the Academy Award. 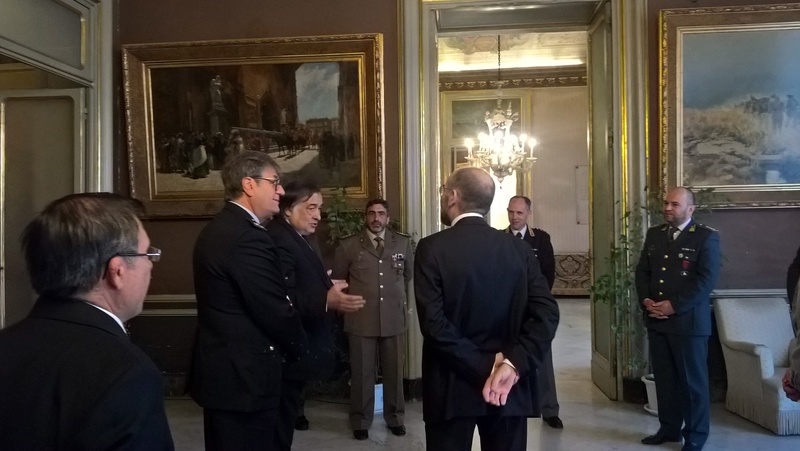 Honorary Citizenship of the City of Palermo Giuseppe Tornatore.